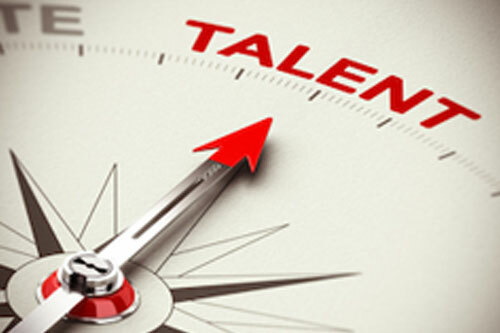 Home » Blog» What Are the Benefits of IT Staffing Agencies? What Are the Benefits of IT Staffing Agencies? Recruitment, placement, promotion, compensation, and training of people required for the position in an organization. Being an intrinsic part of human resource management, IT Staffing assists an organization in the acquisition and placement of the right candidates at the right positions. Most of the organizations find it difficult to find a well-deserved candidate for the vacant position in their company. Neither they have enough time to reach out to a right candidate, nor do they have enough resources to do so. This is when an organization hires a technical staffing agency to get the services of a right candidate for the right job. Not only a multinational can take benefit of a staffing agency, but a small-sized organization can also afford it to acquire the deserving candidates for the position. Moreover, outsourcing your recruitment process to a professional staffing company helps you save money while developing your business. Let’s see how an IT hiring agency can be the best solution when you are going through staffing shortages due to lack of resources and time required for recruiting. If you think it’s quite difficult to find qualified and competent candidates in this competitive industry, outsourcing the recruitment process would be the best option for you. Hiring a professional staffing agency will get you the skilled candidates exactly in line with your job specification. Moreover, you will procure a deserving candidate at a very lower cost comparatively. A reliable staffing agency with extensive networks and latest recruiting technologies conducts a recruitment process in a much faster and cost-effective way. At the time when an organization is supposed to hire the candidates in volume, it might require an organization to spend quality time as well as resources in meeting their staffing needs. This is the time when opting for a reliable recruitment process outsourcing services can help you diminish all your legwork and you can leave all your tedious work to a team of experienced and skilled recruiters. This will allow you to focus only on the final decision of choosing the candidates from the list of screened candidates brought out by the professionals of a concerned staffing company who understand what you want. What if you hire a wrong person who does not match the requirements of the position? Well, this can cost you a tremendous amount of money. To avoid this, you can take the assistance of a staffing firm that will provide you with the required workforces. The staffing company initiates by comparing the skills of the candidate with the skills and knowledge required for the vacant position. The professionals available at recruitment agencies in the US completely examine the skill set, background, and personality of the candidate in accordance with the culture environment of an organization. Related: How Do Staffing Agencies Work For Employers? The process of recruitment often involves multiple rounds of interviews with a wide range of candidates. An organization, usually, don’t have enough time and resources to go through the different stages of recruitment. The time that an organization spends on the recruitment process prevents it from focusing on other significant aspects of the business, which, thus, makes an organization less productive. So, staffing agency, be it arranging candidate screening, checking the background and references, carries out all the recruitment related activities efficiently. An organization just needs to make a final decision for finalizing the selection. If you do not need a recruitment process all through the year, you will obviously prefer not to hire a full-time staff for occasional recruiting. As an alternative, using a professional staffing company who understands all your requirements would be the best way to get your job done. In this case, most of the organizations prefer to pay for accomplishing their needs of filling a particular position. So, you are not supposed to pay a fixed expense to acquire recruitment services. Acquire flexible staffing services as and when required. When it comes to hiring a skilled candidate for your organization, a staffing agency is the one whom you can rely on for procuring deserving and talented candidates. A reliable staffing firm will provide you with service level agreements that can be specified if required. Related: Why do Employers Use Staffing Agencies? Giving the responsibility of the recruitment process to in-house recruiters might not give you a quality result as in-house professionals are equipped with many other responsibilities as well which can thus prevent them to focus completely on your requirement. IT staffing firms, on the other hand, include the expert team of recruiters with expertise in every specific area. So, in order to find out the hard-to-find candidates with specific skills, a staffing agency can help you succeed in your mission effectively. Like IT staffing agencies, an organization might not include the required resources that are essential to acquire the quality results. However, staffing firms provide its efficient services by using all the latest resources including latest recruiting technology and social media expertise among others that take the process of recruitment to the higher level. 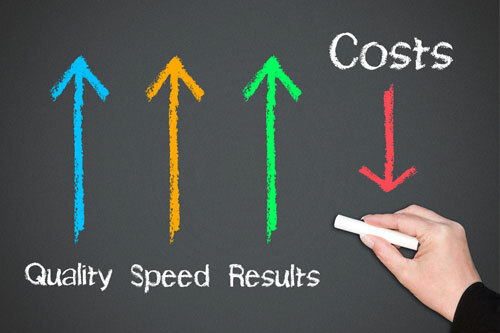 The staffing agency, thus, allows you to get faster and cost effective results. 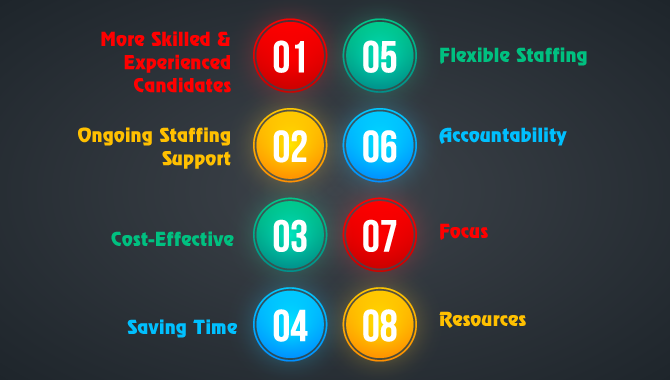 This is how choosing a staffing firm can benefit you in various ways. Let a recruitment process outsourcing company manage all the complicated and time-consuming recruiting issues in an efficient way. So, choose a reliable staffing company, save your time and money, and let the competent and capable employees take your business to another level. Mamsys, a recruitment agency in the USA, assists in connecting employers and employees efficiently. The professionals at the company build an effective recruitment strategy for the companies located all across the world. ← How to Develop a Recruitment Strategy for Your Business?